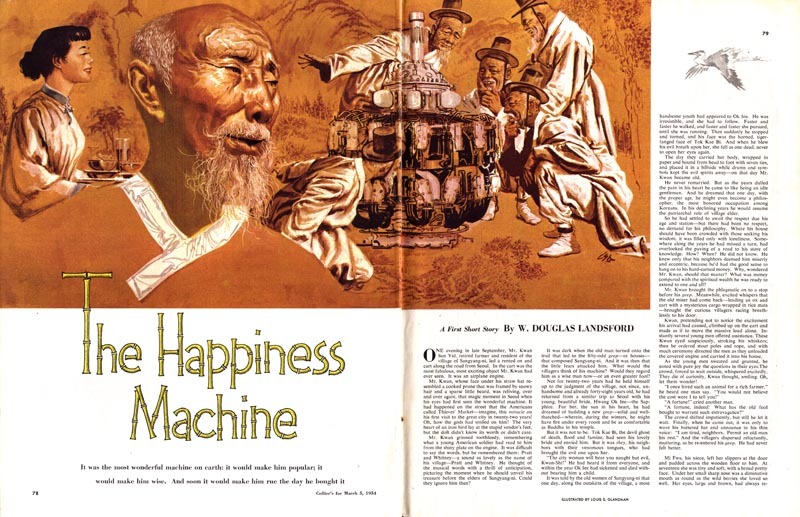 Years ago when I first began exploring the file folders of old magazine clippings that would one day become the original source material for Today's Inspiration, I came across the illustration below and immediately fell in love with it. I loved the beautiful line drawing, so confident yet delicate; the rich, warmth of the painted colour scheme... but most of all, as a life-long fan of comic books, I loved the subject matter. The artist had taken the time to make up a bunch of imaginary old titles and characters and mocked in page details and cover indicias. Something told me this artist shared my fondness for comic books. There was a lot of love in this illustration. ... so what looked like the initials "C S K" signed along the bottom of the illustration meant absolutely nothing to me. I lingered for a while over the illustration, scanned it and sent it out to the few early members of the TI mailing list ( whom I knew would appreciate it as well) and filed it back away where I had found it. Fast forward several years. 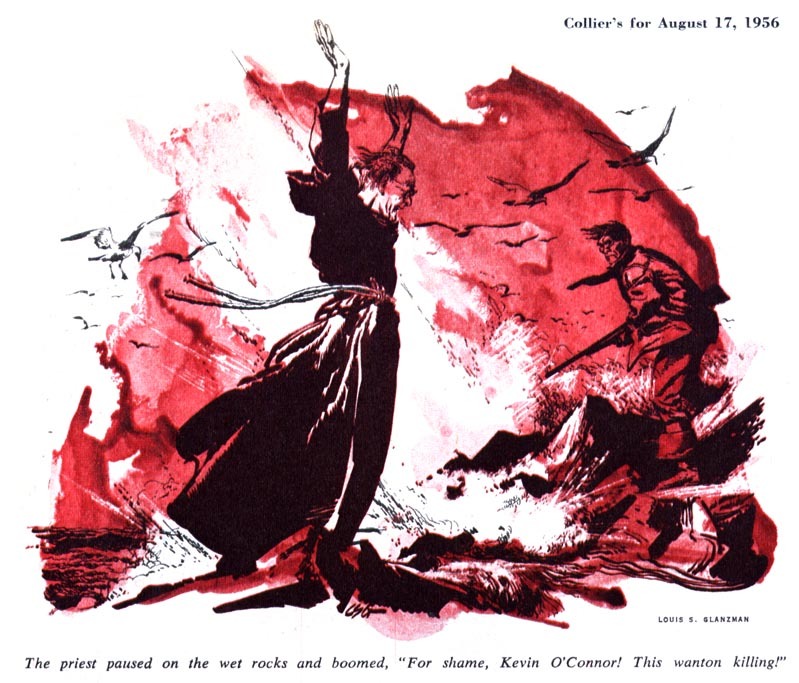 I had just acquired a nice stack of 1950s Collier's magazines and begun flipping through them... when the illustration below stopped me in my tracks. 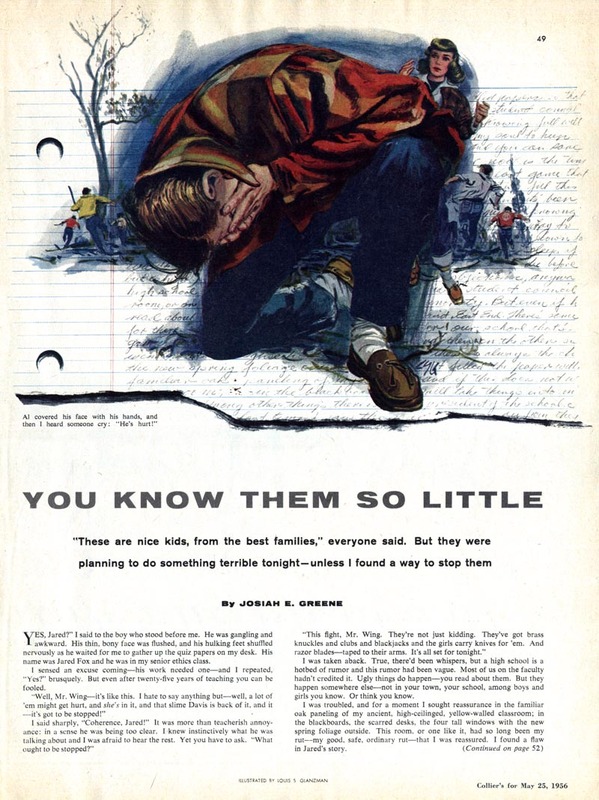 Something about the style of this illustration reminded me of that earlier beloved piece by "C S K"... except this time the three initial signature was clearly "L S G"... and further, the accompanying article identified the artist as "Louis S Glanzman". I knew I had finally found the mystery illustrator! 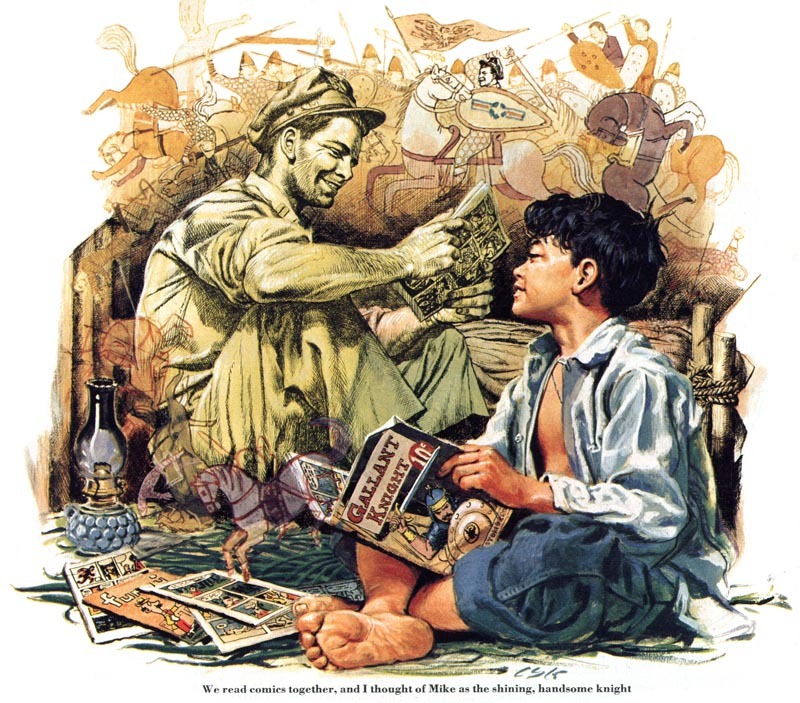 As I learned more about Lou Glanzman I came to understand why he had so affectionately rendered all those comic books in that first illustration: at age 16 Lou began his professional art career as a comic book artist. He created a back up feature called "The Shark" in Centaur Publication's Amazing Man Comics. Lou earned $7.50 per page to write, draw, ink and colour "The Shark." 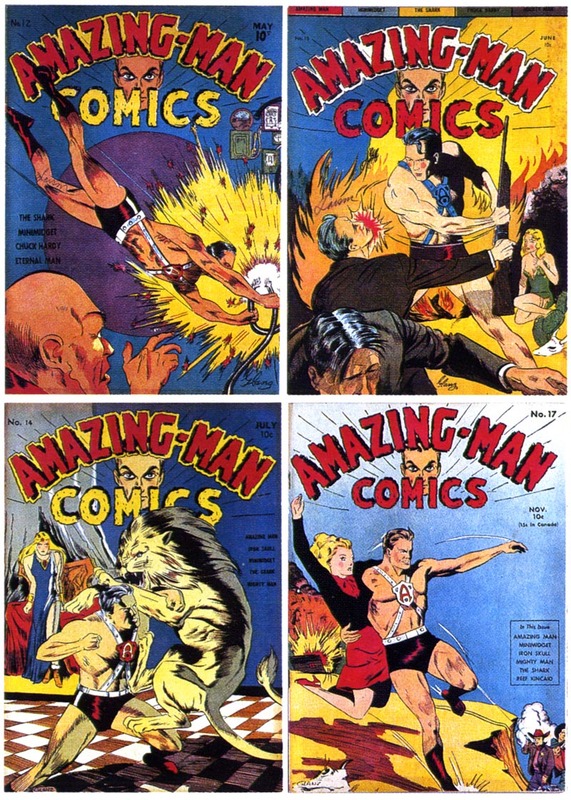 A few months after he began working for Centaur, the main feature's creator left and Lou took over "Amazing Man". In Alter Ego magazine #46, interviewer Jim Amash asked Lou if the promotion came with a raise. "No," Lou told him, "But I got more pages to do. I think that's why I got the work. I was a kid and could draw. I was just happy for the work. All I thought about was getting more pages to draw." 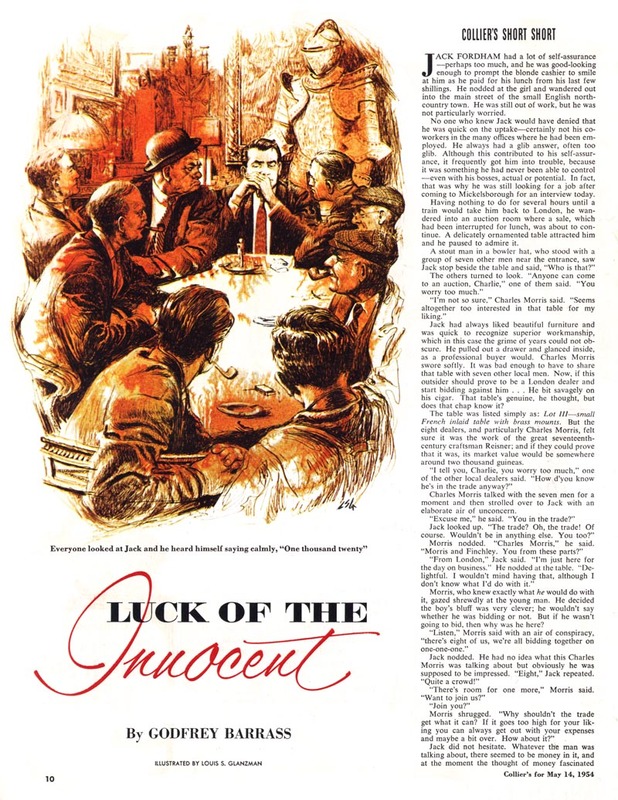 For that 16 year old kid it would take almost another lifetime - but in 1953, at age 31, Louis S Glanzman was accepted into the Society of Illustrators. 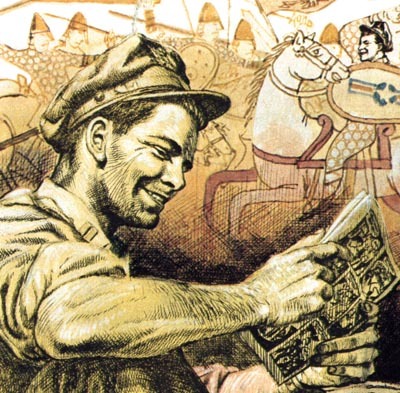 That same year he illustrated his first cover for Collier's magazine. 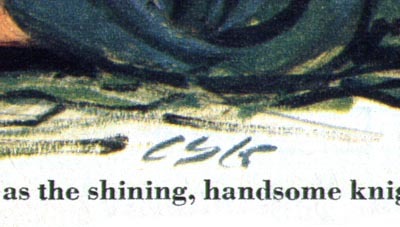 In '54 he illustrated two more. Not bad for a kid who grew up in rural Virginia and never really attended art school. Lou Glanzman, the real Amazing Man, had finally arrived. Collier's became a steady client for Lou. And at the SoI, he had the distinction of socializing with some of the giants of the illustration business. 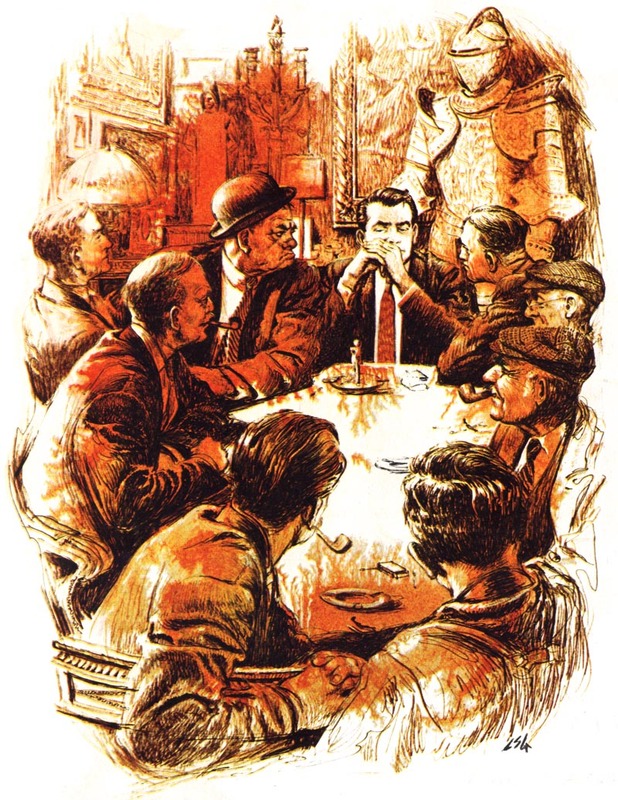 He often shared a table with William A. Smith, Norman Rockwell and Harold Von Schmidt. "In fact," Fran Glanzman told me during our phone conversation, "Lou travelled to the Far East with Von Schmidt." 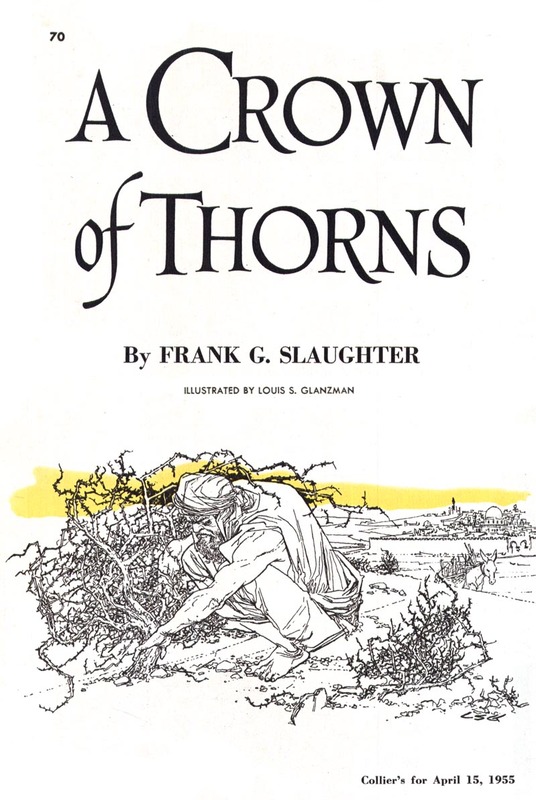 For the next several years Lou contributed artwork to Collier's on an almost weekly basis. Lou replied, "He was a great guy - a great client." 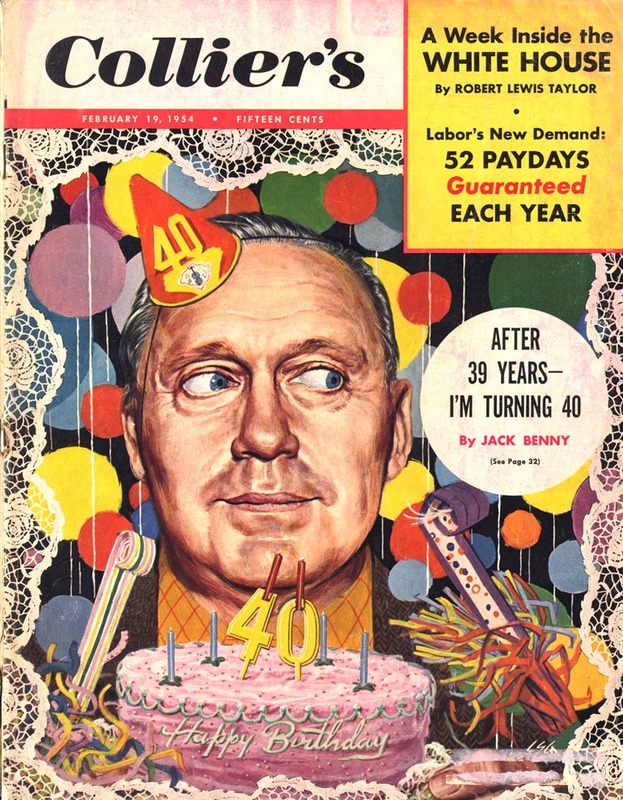 Fran added, " Collier's was a weekly, and everybody looked at it. For Lou to be a regular contributor was a very big deal." 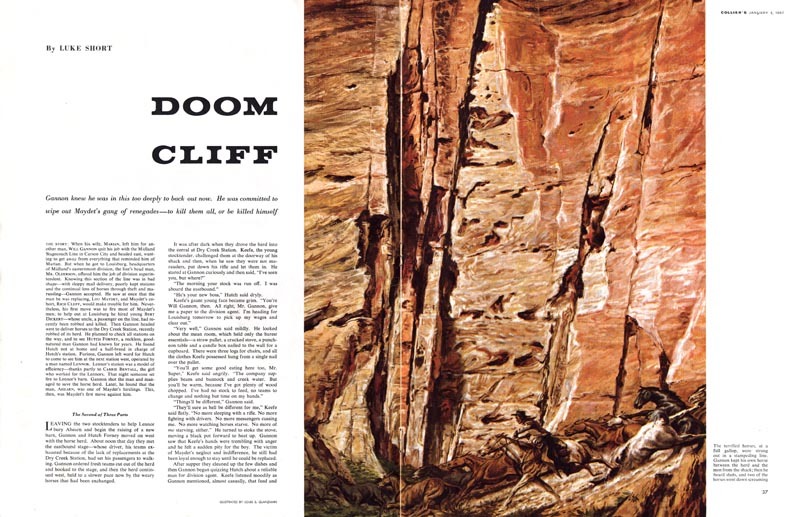 Unfortunately Collier's ceased publication at the end of 1956. 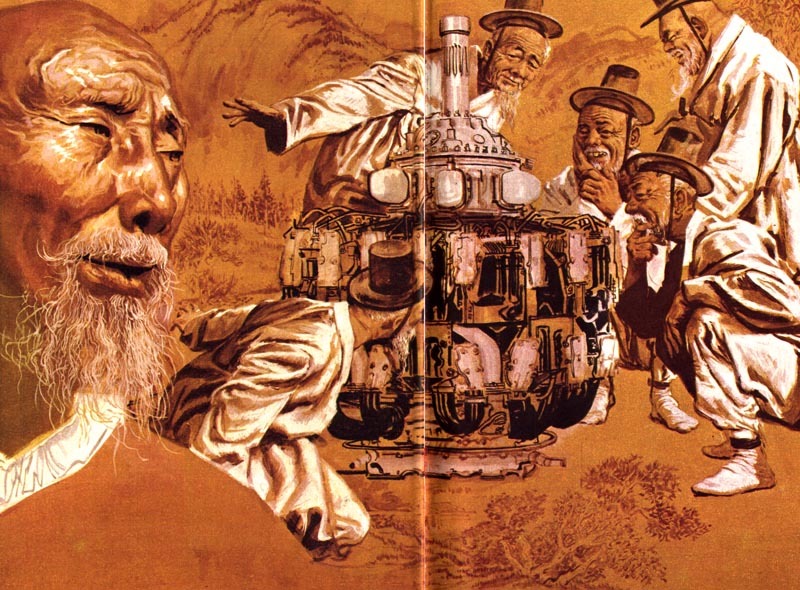 This double page spread from the January 4, 1957 issue must be the last piece Louis Glanzman ever did for the magazine. 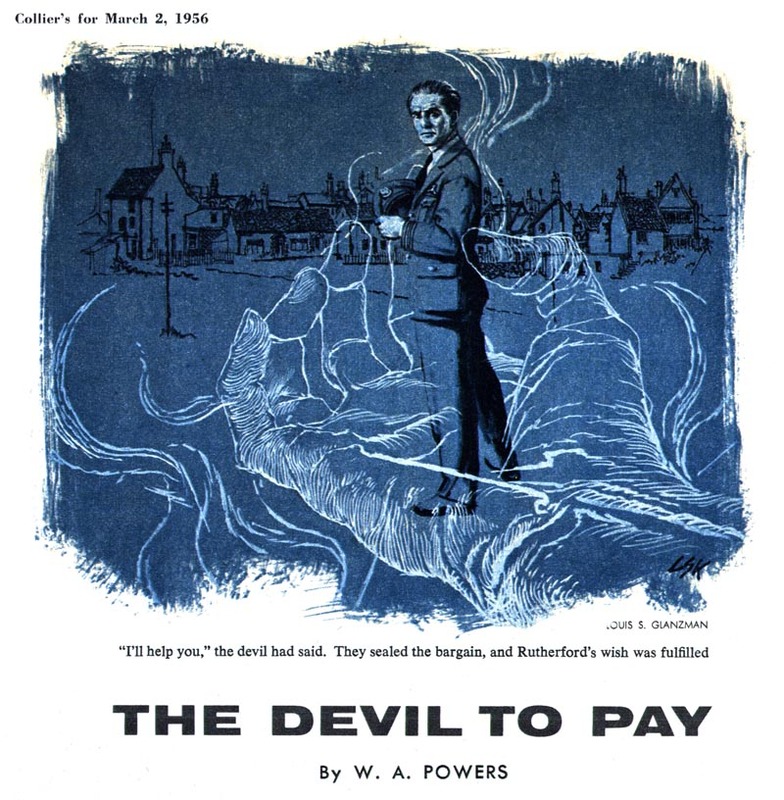 Just as the Collier's illustration at the top of this post featuring comic books looked back on Lou Glanzman's past, this final western-themed Collier's illustration seems to have portended the artist's future: he would go on to become one of America's most prolific - and highest paid - illustrators of Western themed paperback covers. For an article in Illustration magazine # 19. Lou told author Gary Lovisi that as a boy he loved to draw. "I never did get to go to an art school, but I never stopped drawing - and then I learned to paint." 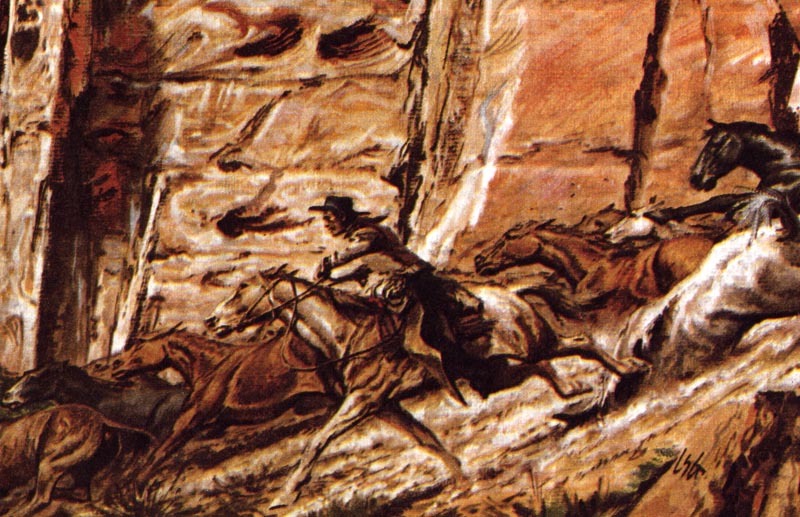 Today, at age 87, Louis S. Glanzman - the Amazing Man - still draws and paints. Every day. Boy, really terrific stuff; I don't know how I remained ignorant of this artist for so many years, but thanks to you, Amash, and Illustration Magazine for the attention you've given him. BTW, the link to Glanzman's web site doesn't appear to be working. Thanks for all the info! 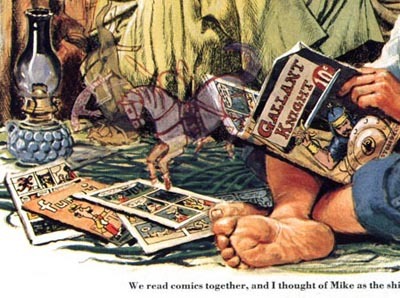 I grew up loving Glanzman's Pippi illustrations (they're wonderful) but didn't really know anything about him. Totally great. The thing I liked about Glanzman was that he was explicit....and his work had real content. He didn't adopt 'styles' or follow other illustrators....he was his own man. Thanks, Leif. Another thing I like....he's my age,87....as of today, for me.! And still drawing every day? Give me a break! That really is a special illustration at top, but the thing that get me is his ability at sixteen. I would have been chuffed to have accurately drawn the woman's shoe at that age! Wow! What a talent. Amazing stuff.